The SouthCoast Young Professionals Network will host their next installment of the CEO Unplugged series on Friday, Dec. 7, 2018 from 9:00 a.m. - 10:00 a.m. 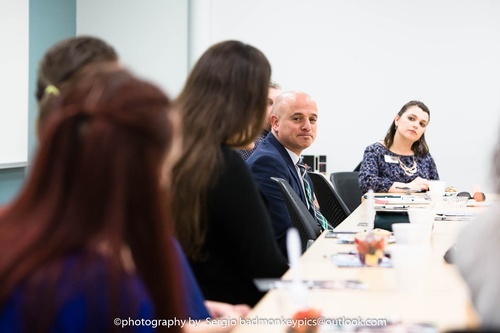 The SCYPN's CEO Unplugged series is held quarterly and provides young professionals with an opportunity to connect with and learn from successful local CEOs. Aimed to be a source of inspiration and a wealth of knowledge, the CEOs share their personal experiences and journey to success with the participants in an informal, small group setting. Nelson Tavares joined Taunton Federal Credit Union in June of 2012 and was appointed to the position of President & CEO in July of 2018. Nelson has over 18 years’ experience in the Credit Union industry, with focused service in all areas of lending, retail banking, and organizational leadership. Nelson holds a bachelor’s degree in Economics and a master’s degree in Business Administration with a concentration in Organizational Leadership from the University of Massachusetts. He is also a graduate of the New England School for Financial Studies held by the MBA at Babson College. He currently resides in Dartmouth, MA with his wife and family. Established in 1947, TFCU is a full service Financial Institution with branches in Taunton, Middleboro and New Bedford. For more information, please call (508) 824-6466 or visit www.tauntonfcu.com.